This is it, guys. August is here and it's officially the month of my wedding. I am so excited, I can't even express it in words! Needless to say, this is going to be a very busy month for my blog. Not only am I having two weddings, but I'm also going to Reading Festival, Brighton and Edinburgh. Things are going to be pretty non-stop. August is always my busiest traffic month anyway, so I have a feeling this month will be pretty huge in terms of readership. 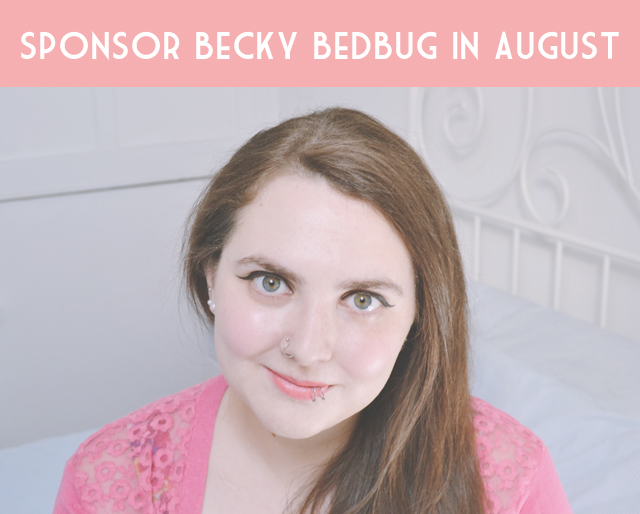 If you've ever considered sponsoring, now is the perfect time! I have that cardi, just in mint green and not pink... totally unrelated comment.